History, the sea, shopping, Badalona dishes and wines with the Alella Designation of Origin. You’ll start the morning with an audioguided tour of the remains of Baetulo, an archaeological site that was designated as a National Landmark of Cultural Interest in 1995. You’ll find out about the layout, customs and daily life of a Roman city. You can pick up your audioguide at Badalona’s tourist information office and go on the self-guided tour “Badalona and the sea”. The entire route is signposted and will take you to the most interesting parts of the town, along Carrer del Mar and the Rambla, to the beaches and promenade and famous bridge, the Pont del Petroli. Immerse yourself in its streets and discover the origins of Badalona and its people. After lunch, you’ll have time for some retail therapy in the shopping streets in the centre of Badalona, where you’ll find a wide variety of quality products. 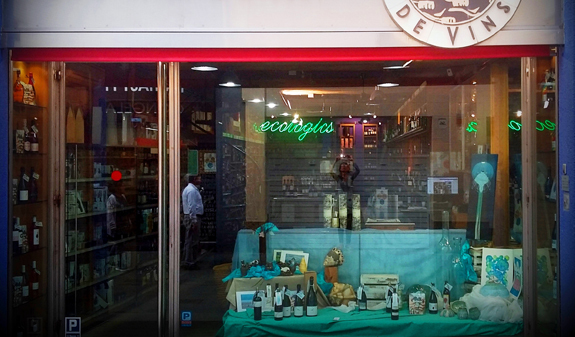 And to round off the day, you’ll visit Cristina Guillén’s wine boutique where you’ll sample some of the local D.O. Alella wines. Audioguided tour of the archaeological remains of Baetulo (basement of the Museu de Badalona). Audioguided tour “Badalona and the sea” (Badalona Tourist Office). Lunch at the restaurant Ca l’Arqué. Free time to go shopping in the centre of Badalona. Visit to Cristina Guillén’s wine boutique with a tasting of D.O. Alella wines. *The children's ticket does not include the tasting paired with a light snack and the lunch at the restaurant Ca l’Arqué. Times: from Wednesday to Saturday. 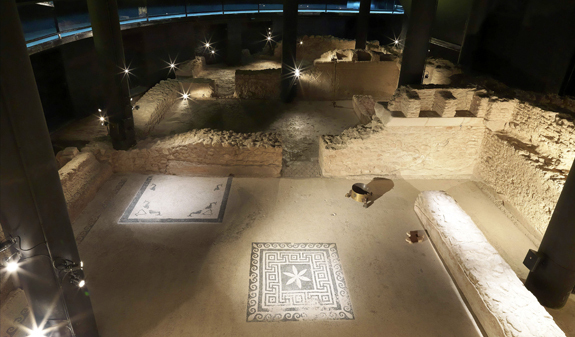 10am – Audioguided tour of the archaeological remains of Baetulo, in the basement of the Badalona Museum: baths, Decumanus and main streets, the trading area of the forum, dwellings and permanent exhibition. 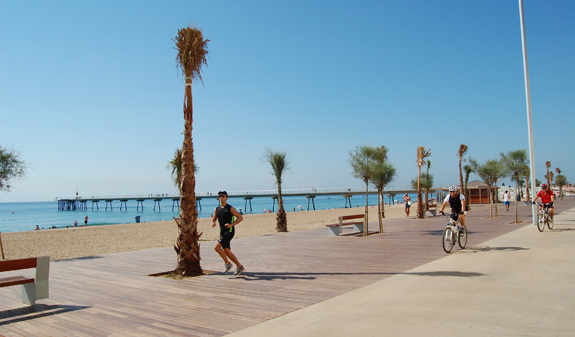 12 noon – Audioguided tour “Badalona and the sea” (Badalona Tourist Office). 2.30pm – Lunch at the restaurant Ca l’Arqué, Mediterranean menu featuring typical Badalona dishes*. 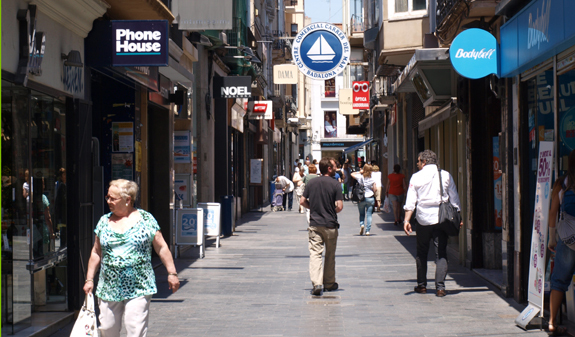 5pm – Shopping in the shopping streets in the centre of Badalona. 6.30pm - Visit to Cristina Guillén’s wine boutique with a tasting of D.O. Alella wines*. All transport costs must be met by the customer. Private transport can be added at an extra charge. Please contact: mariona@viemocions.com, 934 877 626 and 678 746 396. No other items are included, other than those specified above. When you buy this experience you’ll receive a booking notification. You can use your booking at a time of your choice during the following six months. Once you have chosen the date you wish to visit, please contact Viemocions 72 hours in advance to confirm the date and time of your visit. Please contact: mariona@viemocions.com , 934 877 626 and 678 746 396.